Custom Outdoor Audio — Syracuse Lightscapes, Inc.
Do you have a beautifully landscaped yard however are lacking audio to take your outdoor entertaining to the next level? We can help place speakers around your property to develop a site-wide surround sound effect. If you haven’t been in a yard with earth-shaking bass, strategically placed high-end speakers, and discrete mid-range speakers; you don’t know what you are missing. Music for your speakers can be controlled by Sonos, Smartphones, iPads, manual volume knobs, bluetooth, etc. Volume control can be manipulated by your device, wall mounted volume controls, or many other options. Our clients often use Pandora, Spotify, ITunes Radio, etc to stream music to their sound systems. Allow us to customize a control system that is perfect for your home. We have many speaker manufacturers that we work with the provide the ideal acoustic environment while also blending into the landscape. We design ways to place sound where we need to so that there are no gaps in the environment. Subterranean Sub-Woofers – Create the Earth Shaking Bass Effect! Introduce the Bass for your system into the ground by down-ward facing subwoofers with brass stakes or sub-terrain sub-woofers. The effect that is created is something you have to experience to understand what you are missing in a lower-end audio system. We also offer a high-end Bluetooth option for your Landscape Sound System. This system can power up to 4 speakers and provide a dynamic sound for a smaller yard that doesn’t warrant a large audio system. Music can be streamed to the audio through any Bluetooth device using Sonos, Pandora, Spotify, ITunes, etc. Don’t waste your money on cheap Bluetooth outdoor speakers that only last a year or two. We can install a sustainable system that you can enjoy for years. We will design an acoustic environment for any commercial site indoors or out. 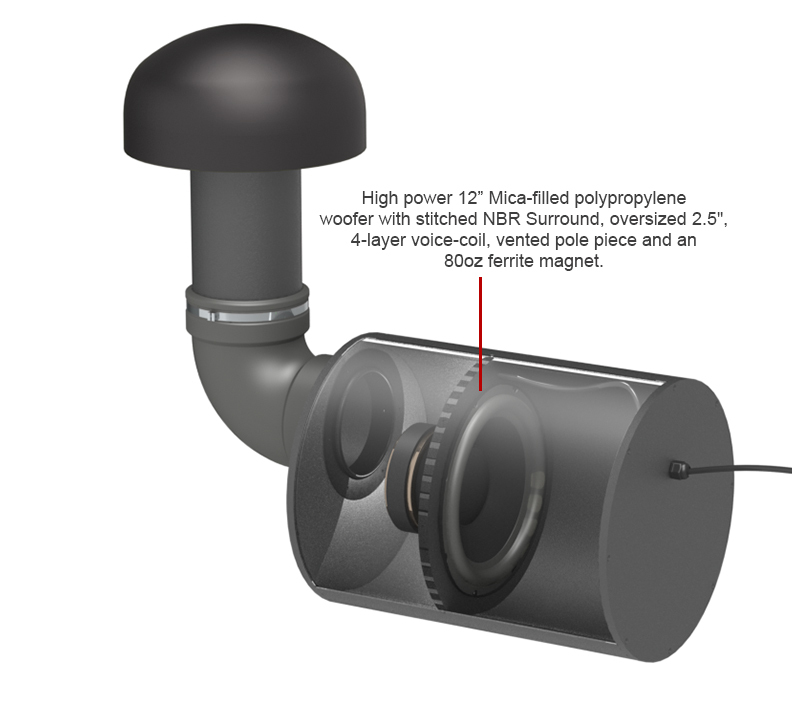 Commercial speakers often run on a 70 volt system as it allows us to install a much larger system cost effectively. Contact us for a plan, estimate, or to find out more information. Indoor Audio and Home Automation is also available. Please contact us for more details on audio system installation for your entire home. Syracuse, NY Home Audio Design and Install.